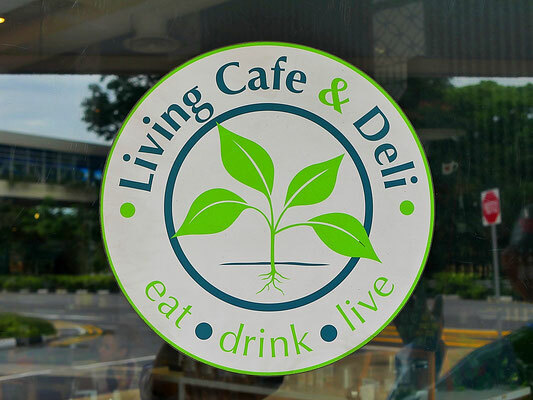 The Living Cafe has been around for many years and is a stalwart of the Sixth Avenue/Bukit Timah scene. It is part of a larger operation that also includes a yoga studio, supplement shop and a very talented resident nutritionist. We went at lunchtime on Friday and it was pretty busy, mainly with expatriate women, however at the weekend you will find more local affluent Singaporeans from the surrounding GCB districts. 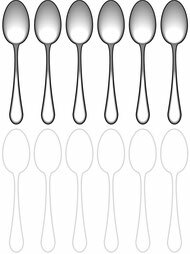 The menu is large with mostly Western lunchtime foods and some Asian cuisine with a strong focus on raw vegetables - some are organic but not all. It is mainly vegan and vegetarian but there are some token proteins on the menu such as salmon and chicken. The bulk of the menu items are sandwiches, wraps, burgers and pizzas so for a restaurant claiming to be healthy they certainly have a lot of gluten on the menu, however they do offer gluten free alternatives. For me it’s a little disappointing that restaurants like this try to appease the masses with healthy versions of comfort food rather than offering truly healthy alternatives that are complete meals in their own right. As it is not a vegetarian restaurant it would have been nice to see some organic pastured lamb on the menu or at the least some hormone free/antibiotic free grass fed beef which is very common in Singapore now and sold by most butchers. Both are vastly superior choices over farmed salmon and corn/soy fed chicken. One of the things that The Living Cafe is most famous for is their dessert selection. 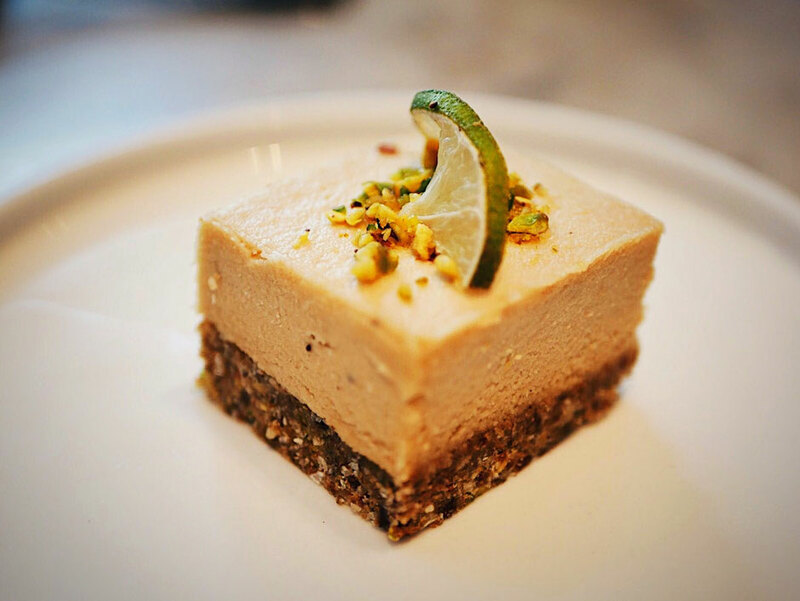 They have the largest selection of sugar free/gluten free cakes in Singapore including nut balls, cookies, cakes, cheesecakes, chocolate brownies, truffles etc. They’re all really good and include ingredients such as cashews, almonds, coconut oil, coconut sugar, psyllium husk, spirulina and many more. The nuts, alas, are not soaked/dried/sprouted but as long as you don’t go crazy on them, they are certainly a far better alternative to your average commercially processed cake from Starbucks et al. 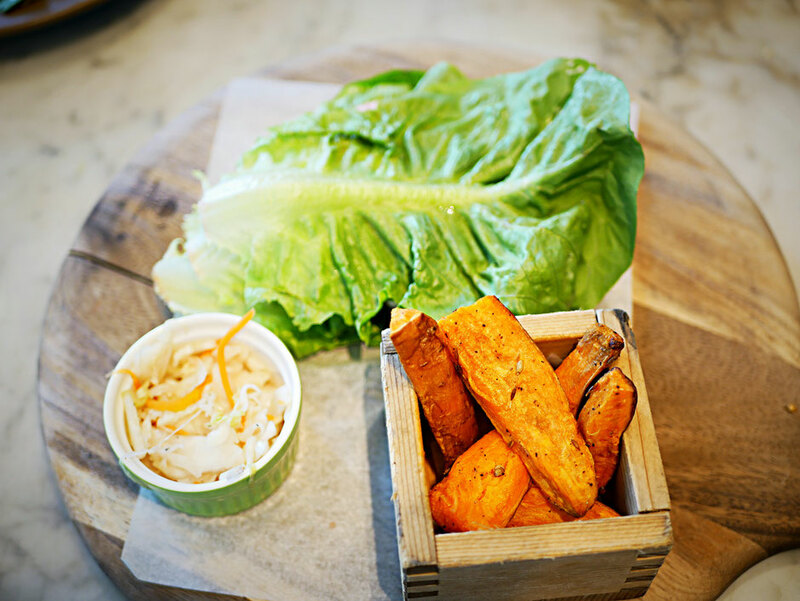 We tried the barramundi and brown rice bowl (un-soaked/un-sprouted unfortunately), classic greek salad and a gluten free (lettuce) chicken burger with sweet potato fries. The chicken burger was surprisingly good and was well complemented by the home made cashew mayo, the sweet potato fries were great and I could have easily eaten a triple portion of them! 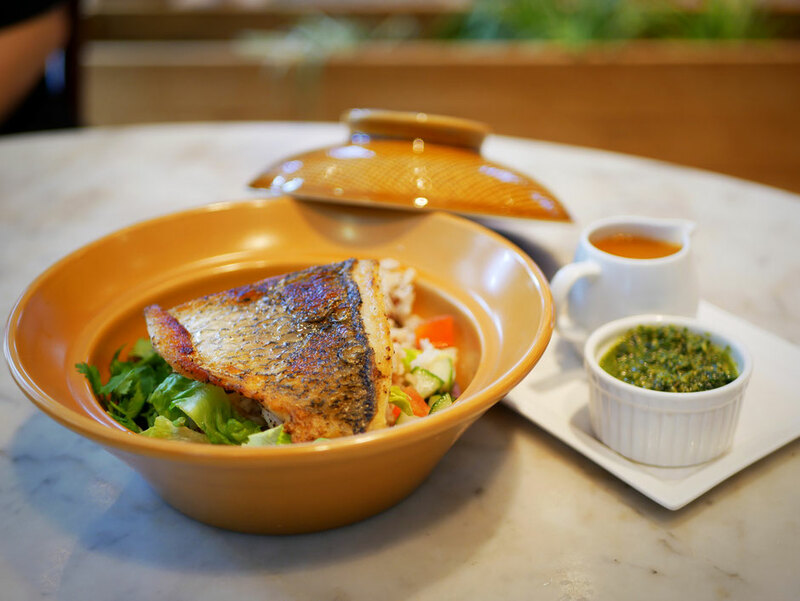 The barramundi was cooked well and not overdone ensuring that it was very tender, moist and succulent. The homemade pesto sauce was delicious and accompanied the dish very well. Price wise it’s a little more expensive that similar restaurants in the same niche like The Real Food Cafe or Kitchen by Food Rebel which is surprising considering its not a downtown location. 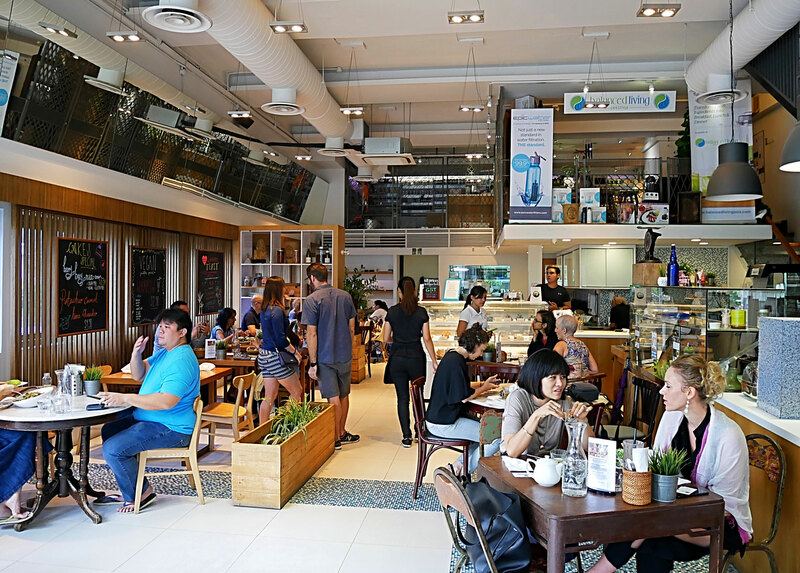 However with such a limited number of restaurants serving organic food in Singapore it’s a great choice either if you’re in the area or fancy making that special trip over the weekend. We unveil more truths about the healthy eateries you love here. Enjoyed this review? Click here to read more.